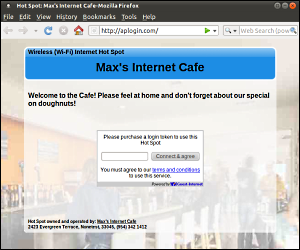 The Guest Internet hotspot gateway allows you to create a Wi-Fi hotspot where guests can pay to use the Internet either with their PayPal account or any credit or debit card. When charging your guests you can set up to 9 different price levels, set by time limit, data limit, bandwidth limit or no limit. PayPal and credit card billing is easy to set up, all you need is a PayPal business account. There are no set up or monthly fees. PayPal does charge a commission of 3% per transaction, this is no different to what banks charge for credit card processing. 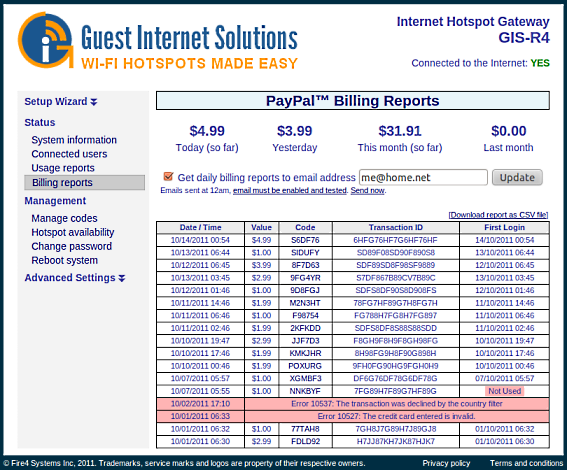 The hotspot gateway provides instant access to usage reports as well as email notifications about credit card payments. Daily reports can also be delivered by email. 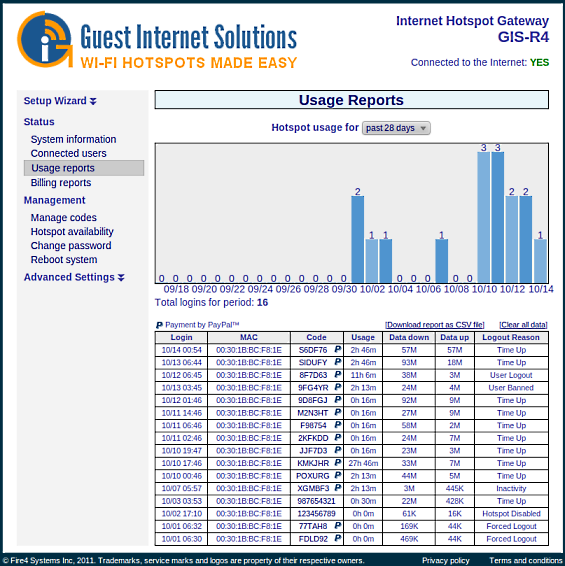 The Guest Internet hotspot gateway is a stand-alone system, no server is required for billing or data storage. Personal and payment details are delivered from the guest's browser directly to PayPal using SSL, the details are not stored or handled by the gateway. The GIS-R2 do not support credit card billing, a GIS-R4 or above system must be used. 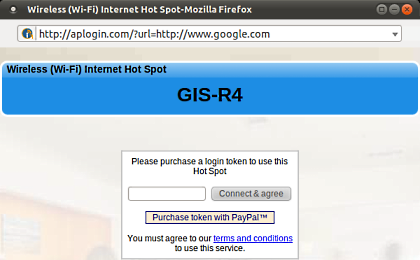 The Login Page also displays the terms and conditions of the hotspot. The guest must agree to the terms to use the Internet. If the guest selects PayPal, he is presented with a list of prices and access times to choose from. The guest is informed that PayPal and Credit Card payments can be made with or without a PayPal account. Once the guest selects a price he is forwarded to the PayPal payment gateway. 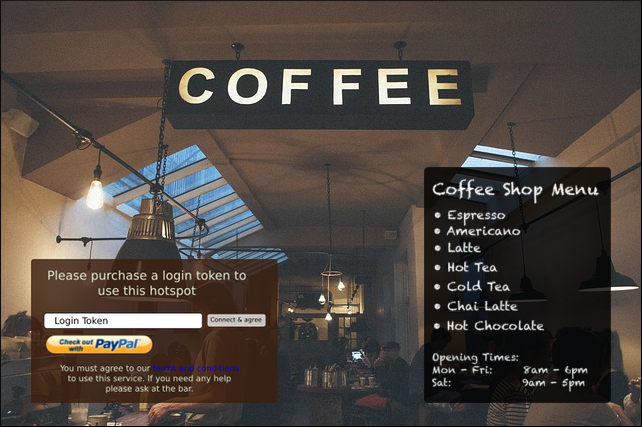 The gateway will allow a guest with a PayPal account to log in or ask for Credit Card and payment details. At this point the transaction is secure (using SSL) and purely between the guest's browser and PayPal's servers. No personal or Credit Card data is handled by or stored on the GIS unit. If the transaction completes successfully, the guest is forwarded back to the gateway and a login code is provided together with a login button. A copy of the code will be emailed to the guest and an email detailing the transaction sent to both the guest and the hotspot owner. Though no personal or billing data is stored on the hotspot gateway, billing statistics are collected so reports can be generated showing income earned by the hotspot. These reports can be automatically emailed once per day or downloaded as needed. The reports also show any billing problems including tokens which were purchased but not used. Emails detailing live billing transactions are also delivered to the hotspot owner. In order to set up PayPal and credit card billing, a PayPal business account is required. 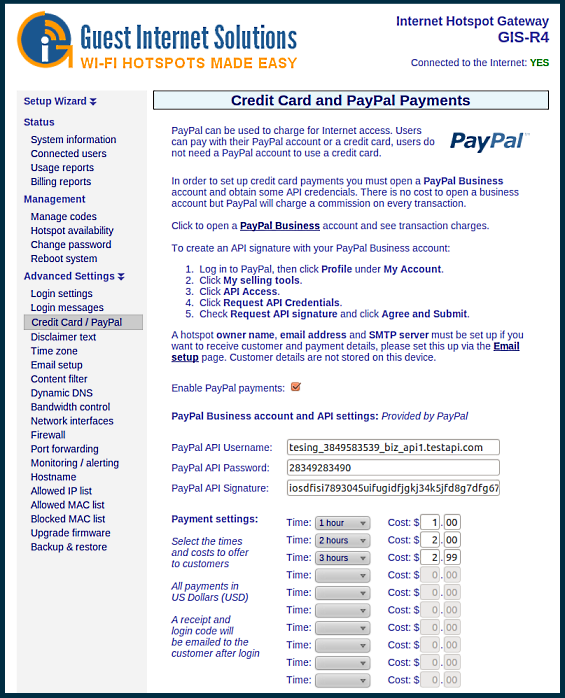 The PayPal business account provides API credentials which are needed for the hotspot gateway to connect to PayPal. Email must also be set up if you wish to receive reports and notifications. Other pages can also be uploaded with the login page to create a browsable web site on the Hotspot. Pages containing restaurant menus, legal texts (terms/discalimers) or support information can easily be displayed to guests. 'Walled gardens' can be set up so the guest can browse web sites, including the owner's and partner's web sites, before having to log in or pay for access.